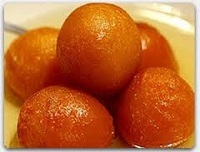 Welcome to Bollywood Cafe Secured Online Order System. For item level special requests, please add notes located next to the quantity. For order level special requests, please add notes on the Cart Page. 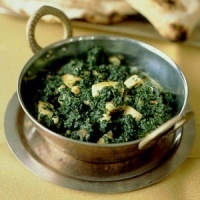 Creamy spinach cooked with home-made cheese. Assorted vegetable appetizer made with potatoes, garbanzo beans, flour chips and a slice of tomato. Chicken marinated with spices and roasted in tandoori. Lamb marinated with spices and roasted in tandoori. Minced lamb cooked on skewers with herbs and spices. Hot chicken wings marinated with spices and roasted in tandoori. Chicken tikka, lamb tikka, seekh kabab, samosa and onion pakora. Lentil based vegetable soup with chicken. For two. Everything made to your desire: mild, medium or hot. 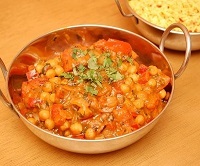 Served with soup, or salad, or samosa: choice of three vegetable dishes; rice, naan and dessert. 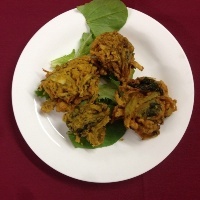 Served with onion pakora, samosa, chicken tandoori, chicken tikka, lamb tikka, seekh kabab, choice of a vegetable dish; rice, naan and dessert. Clay oven. Everything made to your desire: mild, medium or hot. Chicken on the bone marinated with herbs, mild spices and roasted in tandoori. 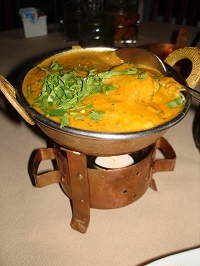 Boneless white meat chicken marinated with herbs, spices and roasted in tandoori. 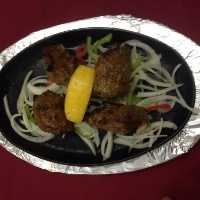 Lamb marinated with herbs, spices and roasted in tandoori. Fine minced lamb skewer, marinated with herbs, spices and roasted in tandoori. An assortment of: chicken tandoori, chicken tikka, lamb tikka, fish tikka, seekh kabab and shrimp tandoori. 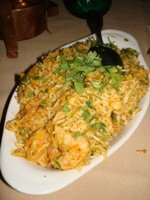 Shrimp marinated with fresh herbs, spices and roasted in tandoori. Everything made to your desire: mild, medium or hot. Chicken cooked with ground spices and fresh herbs. Coconut flavored chicken curry cooked with coconut milk. Thick chicken curry cooked with green bell peppers and tomatoes. 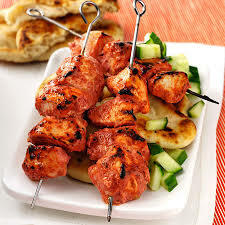 Chicken tikka cooked with mixed vegetables. Very hot chicken curry cooked with potatoes and a touch of lemon juice. Chicken curry cooked with fresh mushrooms and herbs. Chicken cooked in thick lentil sauce with a touch of lemon juice. 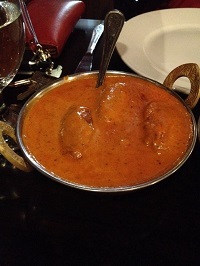 Chicken tikka (boneless white meat) cooked in a Masala sauce (rich creamy tomato based sauce with ground almonds. Chicken curry cooked with ground almonds and cream. Lamb cooked with ground spices and fresh herbs. Lamb cooked with fresh herbs, tomatoes and bell peppers in thick sauce. Lamb curry topped with saute onions, tomatoes and bell peppers. Fairly hot lamb curry cooked with fresh tomatoes. Very hot lamb curry cooked with potatoes and touch of lemon juice. Lamb cooked with fresh herbs and spinach. 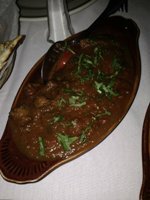 Lamb cooked with tomato based sauce with cream and ground almonds. Lamb cooked with ground almonds and cream. Coconut flavored lamb curry with coconut milk. Creamy lamb cooked with green (mint) sauce and ground almonds. Shrimp cooked with ground spices and fresh herbs. Shrimp cooked with fresh herbs, tomatoes and bell peppers in thick sauce. Fairly hot shrimp curry cooked with tomatoes. Very hot shrimp curry cooked with potatoes and a touch of lemon juice. Shrimp cooked with tomato based sauce with cream and ground almonds. Shrimp cooked with ground almonds and cream. Coconut flavored shrimp curry with coconut milk. Fish cooked with ground spices and fresh herbs. 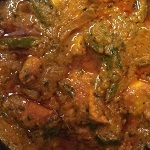 Thick fish curry cooked with green bell peppers and tomatoes. Fairly hot fish curry cooked with tomatoes. Very hot fish curry cooked with potatoes and a touch of lemon juice. 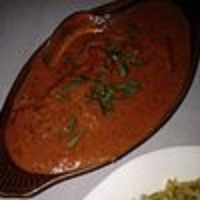 Pieces of fish marinated with fresh herbs and cooked in tomato based sauce. 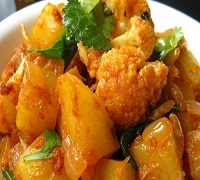 Mixed vegetables cooked with ground spices and fresh herbs. Potatoes cooked with spinach, fresh herbs and spices. Mushroom cooked with onions and spices. Roasted eggplant sauced with onions and spices. Potatoes cooked with green peas, herbs and spices. 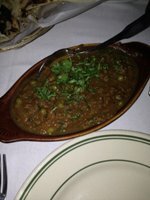 Lentils cooked with garlic, fresh herbs and spices. Garbanzo beans cooked with tomato based sauce and cream. Homemade cheese cooked with creamy curry sauce. Peas and home-made cheese cooked with creamy sauce. 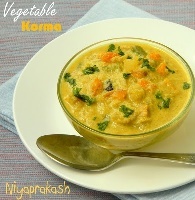 Mixed vegetables curry cooked in creamy sauce. Assorted vegetables minced, shaped round and cooked in creamy sauce. Mixed vegetables cooked in tomato based creamy sauce. For Spicy lovers. Cooked in chefs special Explosive Spicy sauce. 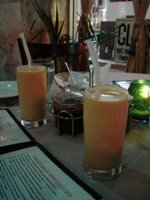 Comes with vegetable soup or salad, rice, naan and dessert. Everything made to your desire: mild, medium or hot. 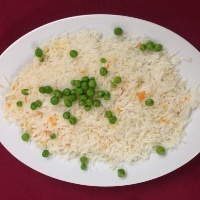 Basmati rice cooked with almonds, green peas and raisins. Mixed vegetables and fried rice cooked with raisins, almonds. Chicken and fried rice cooked with raisins, almonds. Lamb and fried rice cooked with raisins, almonds. Shrimp and fried rice cooked with raisins, almonds. Special bread baked in tandoori (clay oven). Naan topped with garlic, cilantro and baked in clay oven. Naan topped with garlic, basil cilantro and baked in clay oven. Naan topped with onions, cilantro and baked in clay oven. Naan stuffed with white meat chicken and baked in clay oven. Naan stuffed with minced lamb and baked in clay oven. Naan stuffed with coconut, raisins and almonds baked in clay oven. Naan stuffed with mozzarella cheese and baked in clay oven. Layered bread made with flour. Bread stuffed with potatoes, onions and spices. Cool yogurt with cucumbers and carrots. 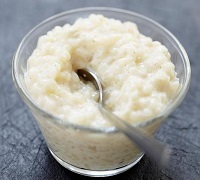 Juicy, soft round shape cheese made from cream, fried and served in sweet syrup. Delivery Minimum: $20 (Before tax).